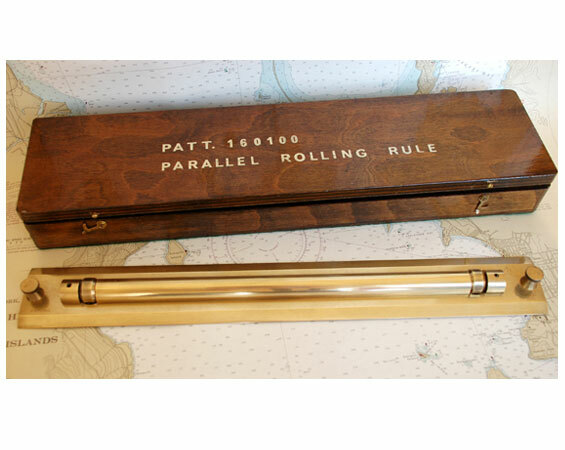 This is a solid-brass "Admiralty Pattern Parallel Rule" circa 1940ties. William Henry Harling founded his firm in 1851 at Moorgate, London, England. The manufacturer touts that it is accurate to 1mm over a 2m span. Given the type of wooden instrument case and lettering...we feel this was used on a US warship or in the Merchant Marine Service during WWII. 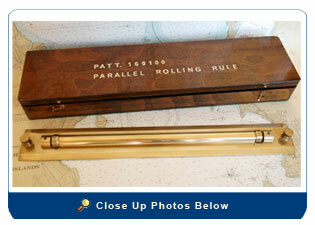 We have completely restored the rule (polished and sealed) and case stripped, refinished and re-felted. Size: Rule 18” wide by 2 ½” high; Box is 19” long, 2” high, and 5” deep.